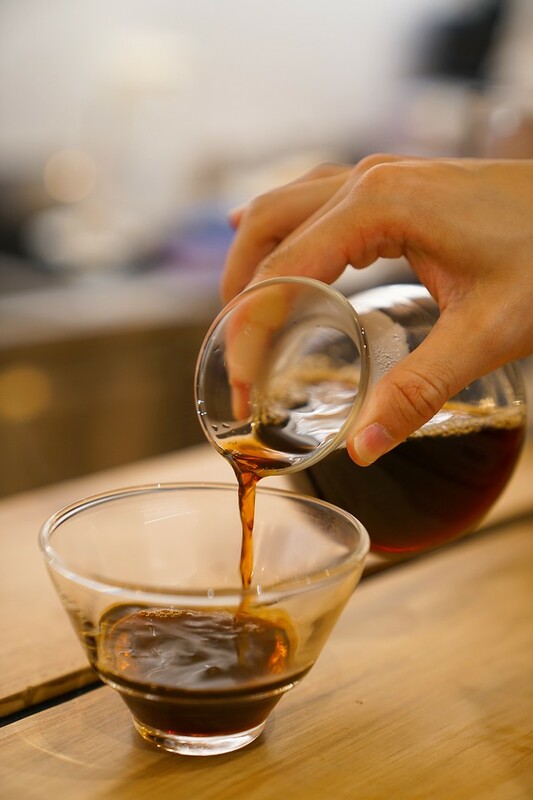 Baristart Coffee hails from Sapporo, Hokkaido. 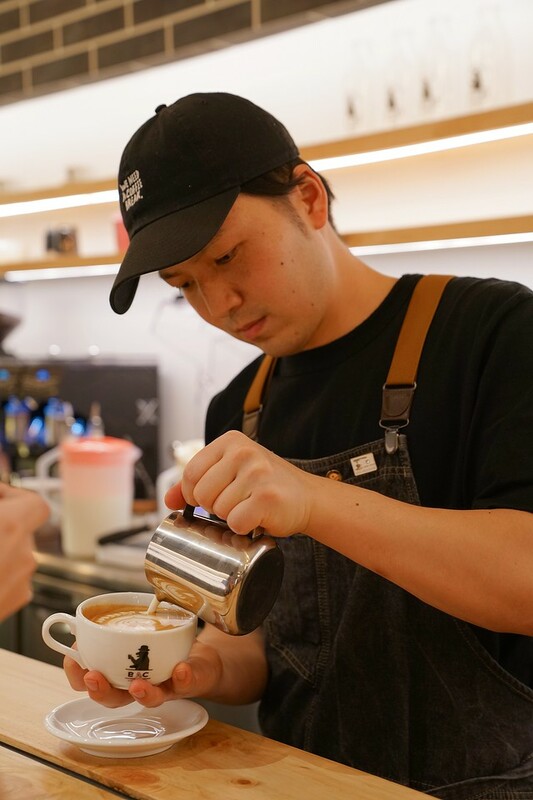 With a huge cult following for their unique milk coffee, they have finally expanded out of Japan with their first cafe in Singapore. Interestingly, the selling point of Baristart Coffee is their milk. The BIEI Jersey milk that they use is of exceptional quality that comes from Brown Jersey cows in Hokkaido. There are only 800 of these cows which make up barely 1% of the cow population in Japan. 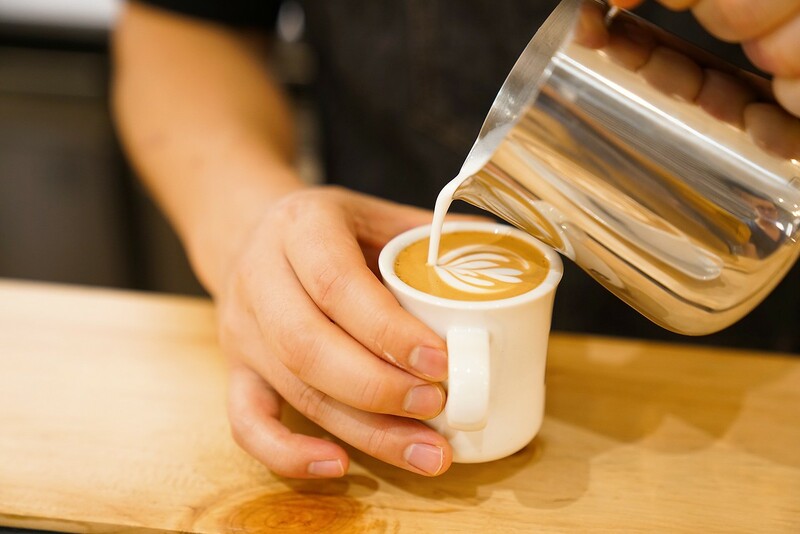 With the rich, full cream air flown Hokkaido milk as the focal point, all the beverages, dessert and food have been specially created to suit and incorporate the BIEI Jersey milk. 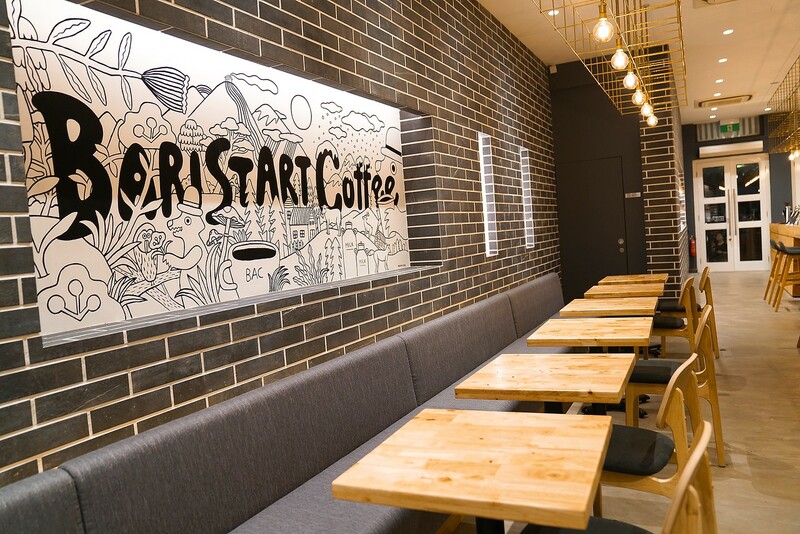 The Baristart Coffee cafe incorporates a minimalistic natural design with lots of light grain wood that the Japanese are always so fond of in their modern interiors. 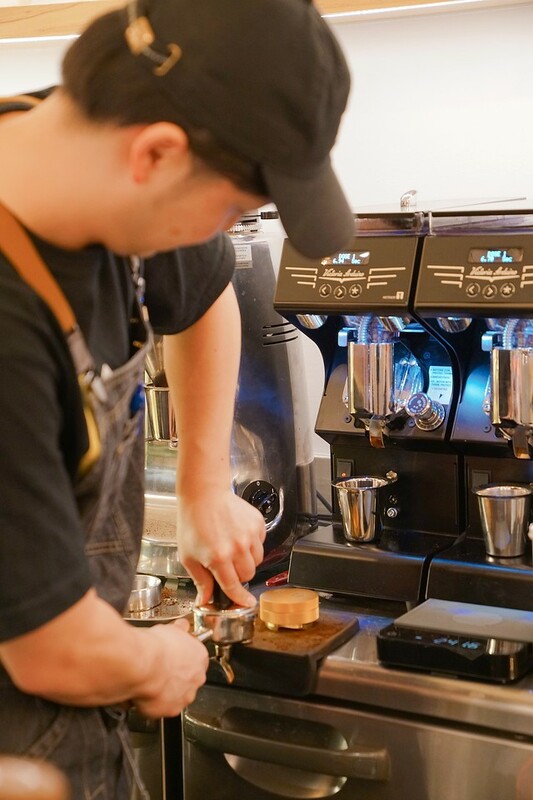 The coffee counter is kept looking clean with the use of the MODBAR ABR AV undercounter coffee machine. I love the splash of green at the back of the cafe that endeavours to bring the outdoors into the cafe. 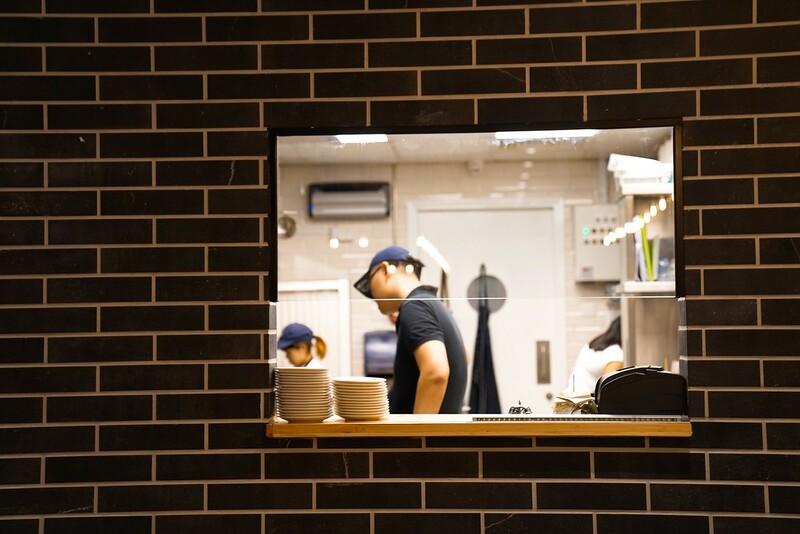 It is a cosy and calm space with everything in the cafe is painstakingly designed and imported from Japan. 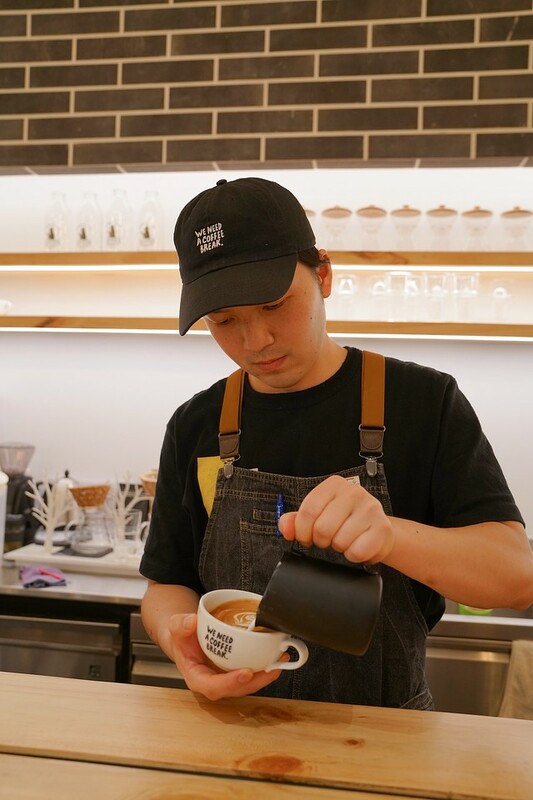 The Global Chief Barista, Yuki Takeuchi, shares with me over cups of his lovely coffee, the importance of good milk. He frequents the raches to inspect the cows where the milk comes and truly believes the farm to cup philosophy of speciality coffee and milk. He was open, friendly and super passionate about both coffee and photography. 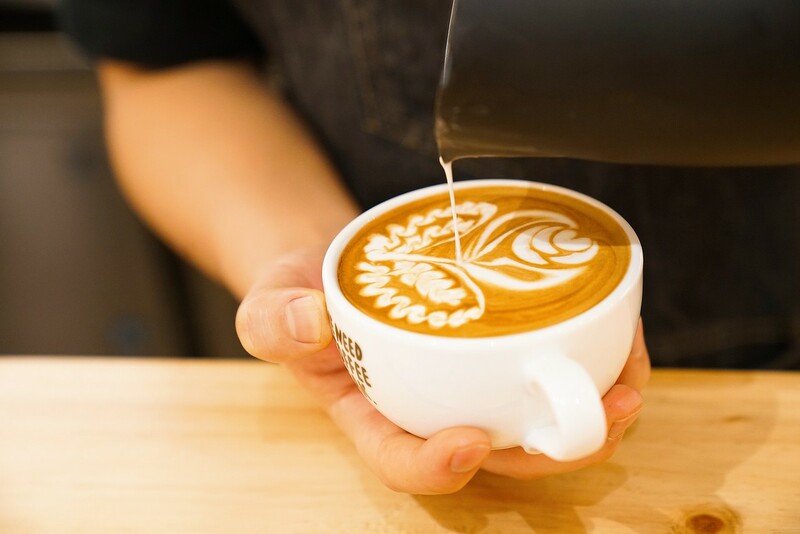 As a two time champion of ‘UCC Coffee Masters Latte Art Section in the Hokkaido region’, his control of the milk pour was impeccable, and it was gratifying to see his free pour in progress as he prepared my coffee. 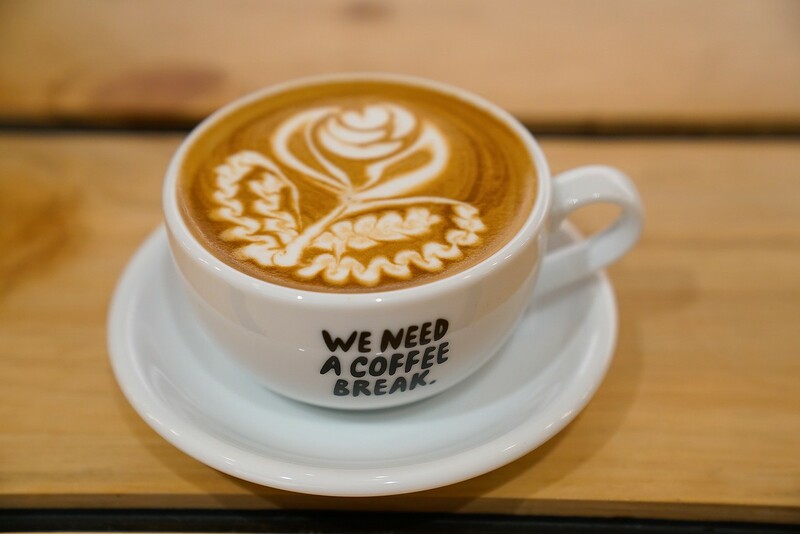 Some of the customers requested for bespoke latte art, but I left it to him for my coffee. He did a gorgeous rose latte art (his signature) on my latte and a petite heart stack on my piccolo. 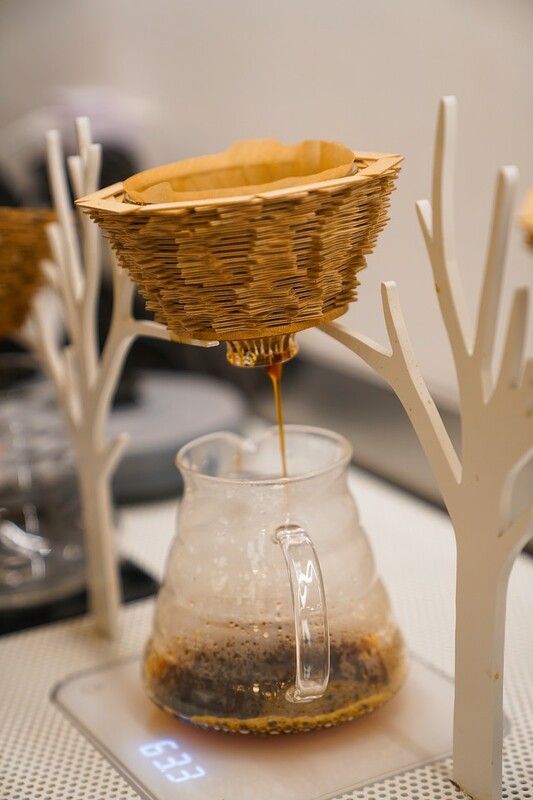 There are three blends of coffee choices. 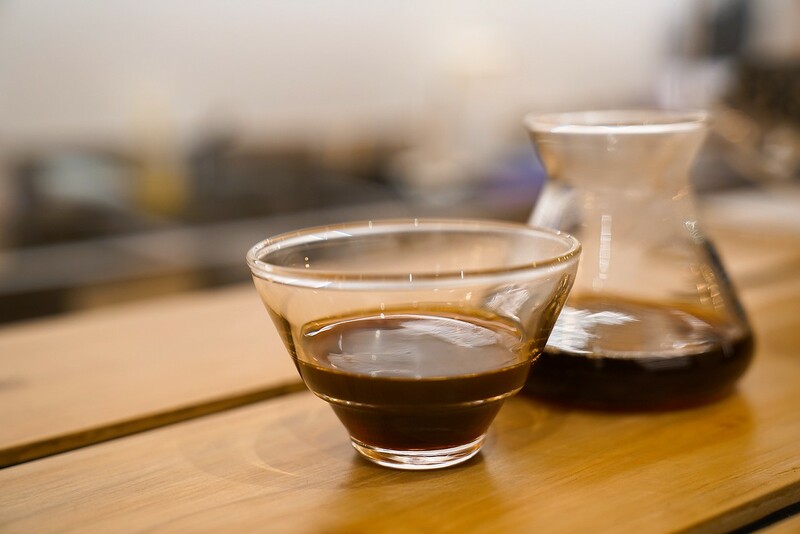 I ordered the Baristart Coffee blend for my latte and an Ethiopian origin for my piccolo. 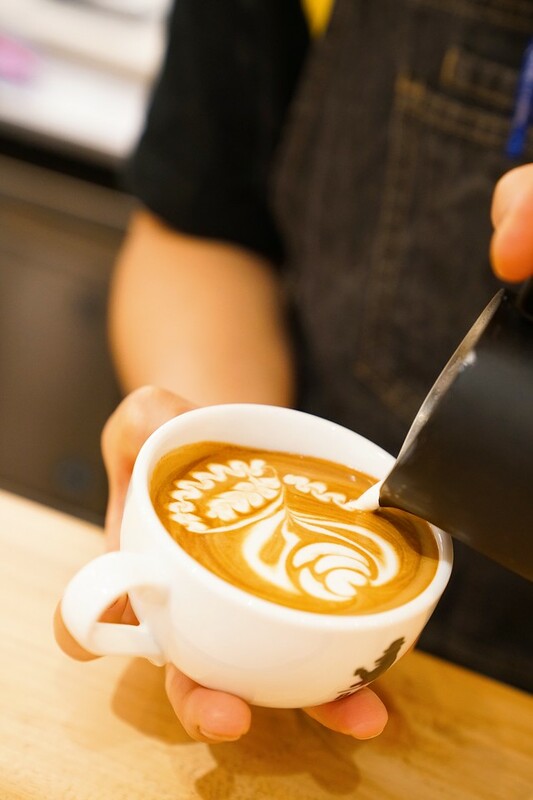 Both cups were delicious with the coffee flavours shining through beautifully despite having such creamy milk. 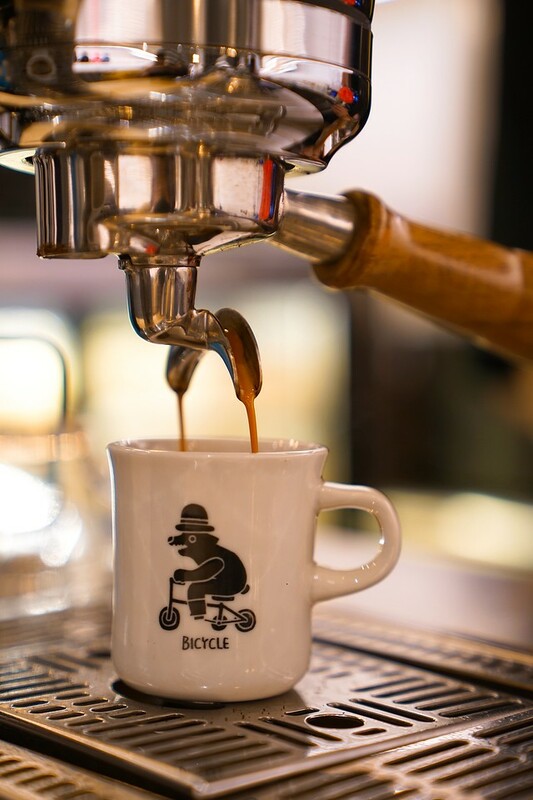 The piccolo used 30g of Ethiopian beans (double shot) and showcased a heavy bodied but fruity coffee whereas the latte I ordered used 10g for a ristretto shot. 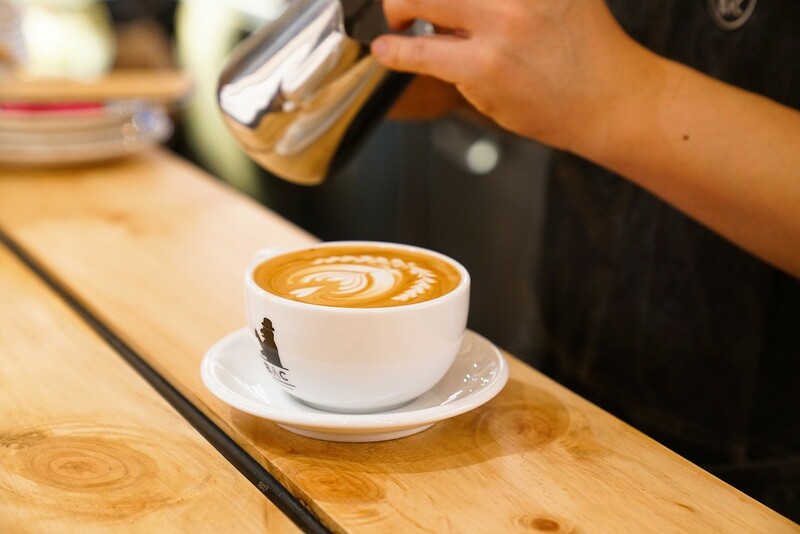 I loved that the latte was sweet and creamy with elegant aromatics. 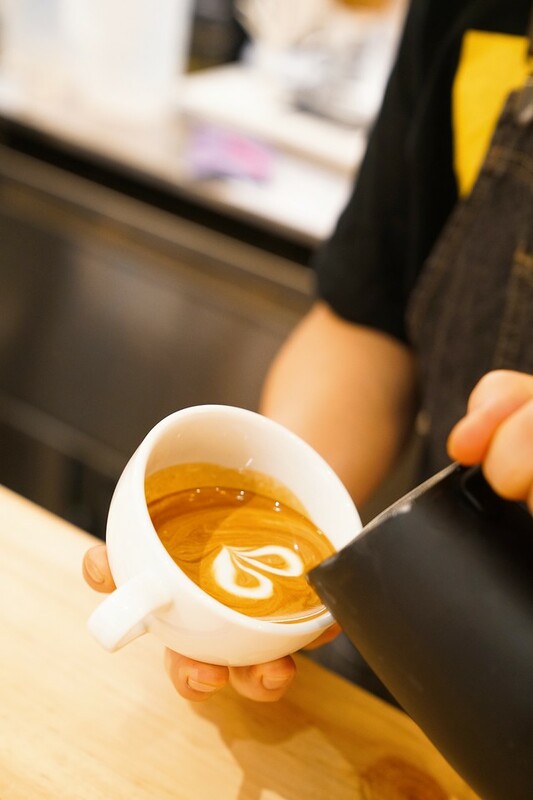 Most importantly, he had managed to bring out the flavours of the coffee while retaining the richness and creaminess of the Hokkaido BIEI Jersey milk. 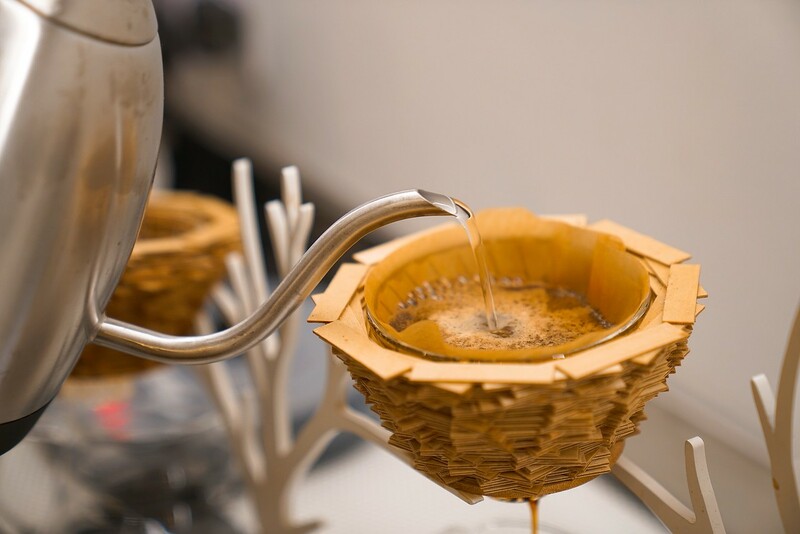 I also ordered a filter coffee (Kenya) at a very reasonable $6 a cup. 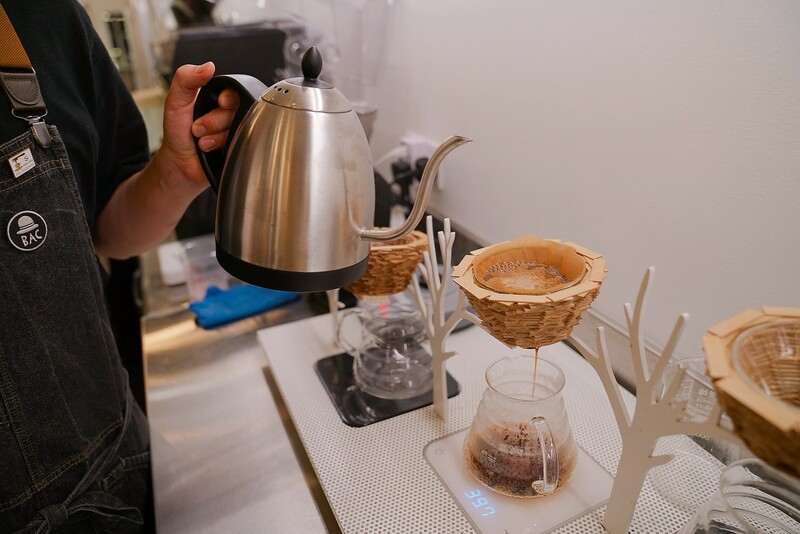 It is brew via V60 in the cutest little nest and tree Japanese designer holder. Those who have sworn off dairy products can consider this option. 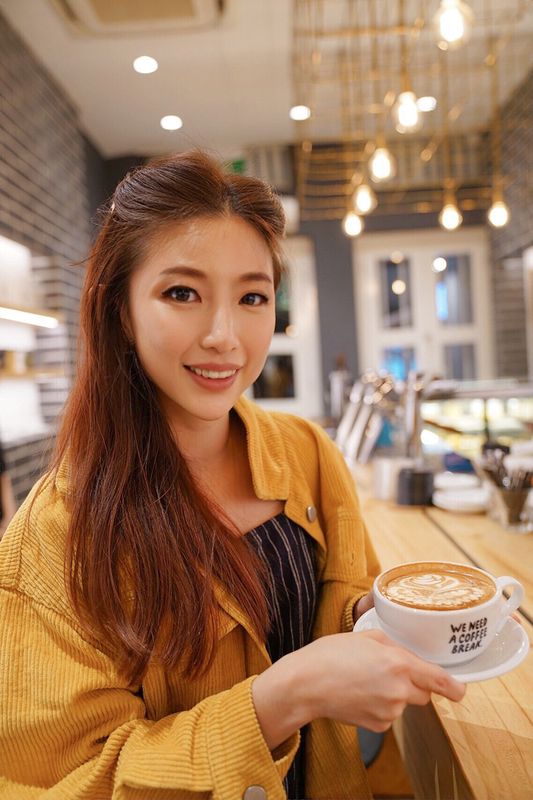 Just based on the coffee alone, I know that Baristart Coffee will be a cafe I return to. For food lovers, you are in for a treat as well. 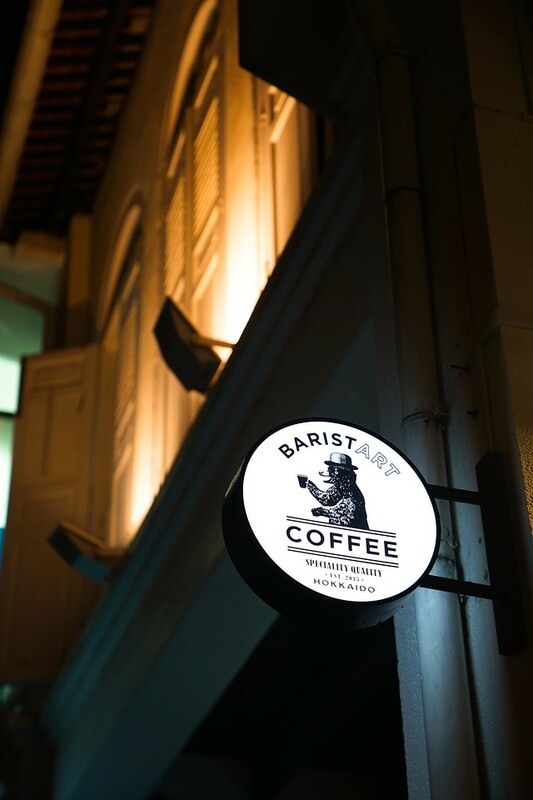 Unlike their Sapporo branch which is a purist for coffee, Baristart Coffee in Singapore has a full-range menu. 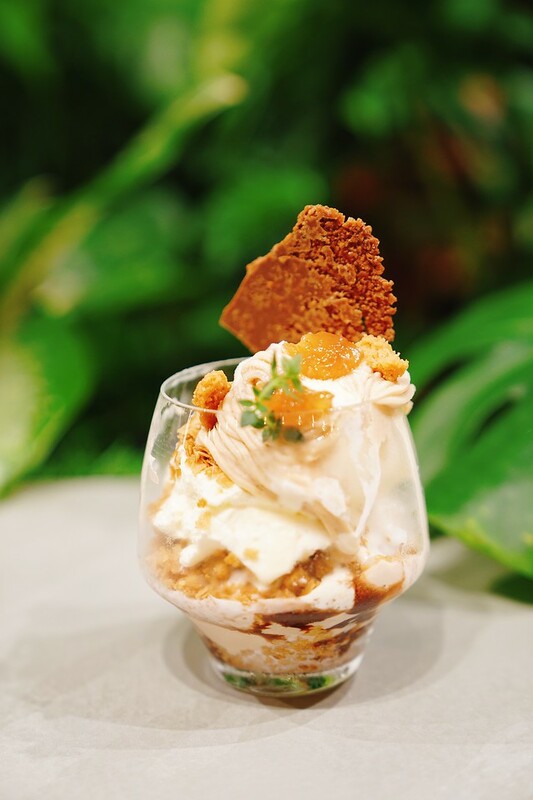 Headed by Pastry Chef Emi Saski, you can expect a slew of mouthwatering savouries and desserts that utilises the specially imported Hokkaido BIEI Jersey Milk. The Tuna Avocado Salad with Wasabi Dressing ($14.80) is refreshing and delicious. 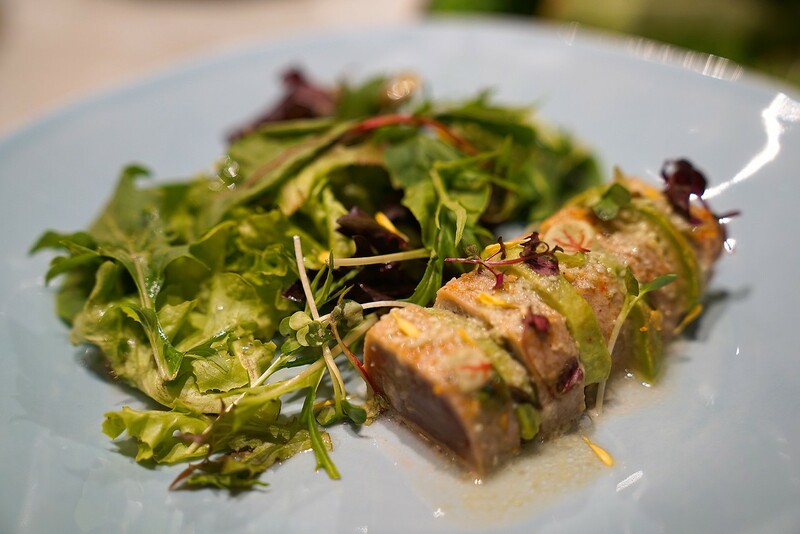 Thick slices of pan-seared tuna seasoned with black pepper and shichimi togarashi are served alongside a mix of salad, kaiware, avocado and sesame. The wasabi lemon vinaigrette adds a lovely tangy lift without being overpowering. My absolute favourite is the Hokkaido Carbonara ($17.80) which is soaked beautifully in a creamy, rich sauce using Hokkaido BIEI Jersey milk. It might be too creamy for some, but I couldn’t stop polishing off the whole plate. 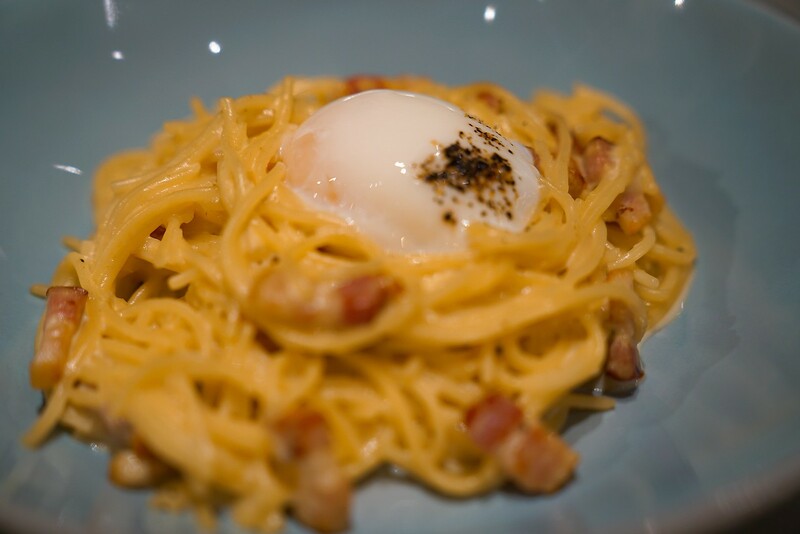 A generous portion of Hokkaido Kurobuta bacon is tossed with the noodles, and the hearty dish is topped off with a poached egg then seasoned with black pepper and Parmigiano. Another hot favourite among my friends is the Spaghetti Shiso Pesto ($17.80) that infuses authentic Japanese influences in the form of blended Shiso. Shiso is a Japanese herb in the mint family also known as Perilla. It is quite a unique flavour that works surprisingly well as a pesto. 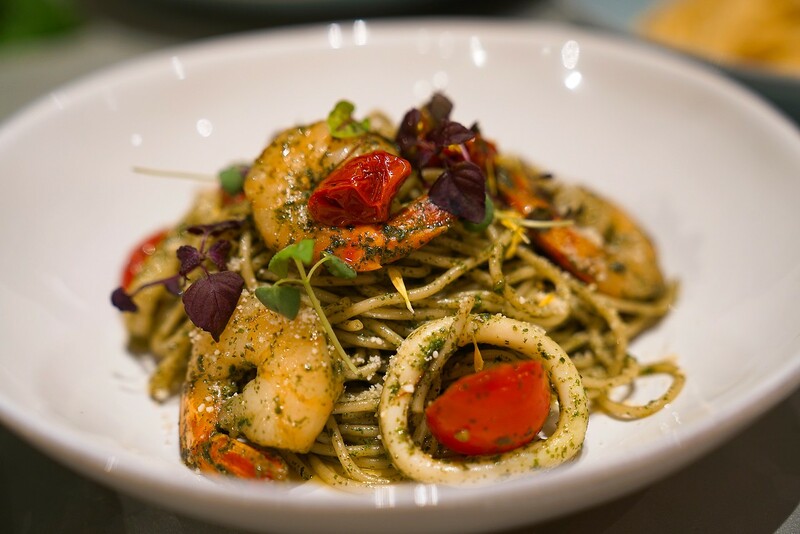 Accompanied harmoniously with juicy prawns and squid, it is a dish worth checking out. 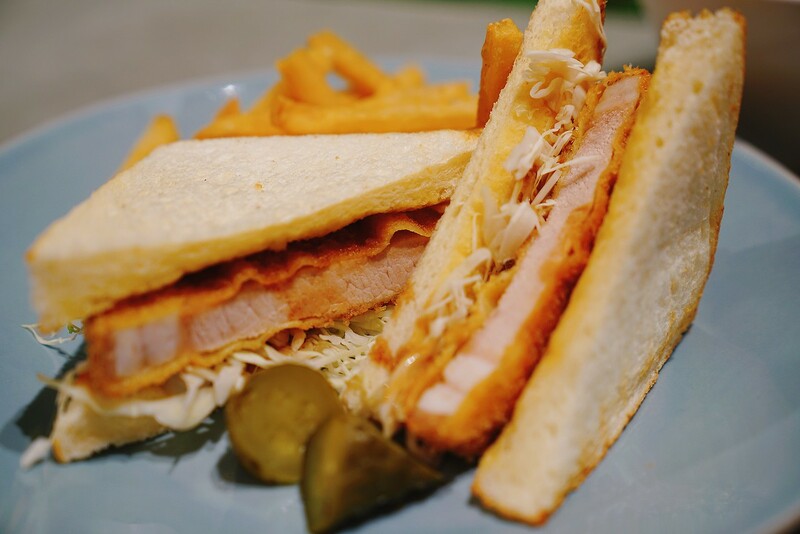 Other savoury dishes include the Tonkatsu Sando ($16.80) a classic Tonkatsu sandwich drizzled with delicious tonkatsu sauce and mustard butter then served with a side of hot fries. Obihiro Butadon ($18.80) is supposed to be a favourite dish as well as many people cannot resist a comforting pork rice bowl. I love the Hokkaido Kurobuta pork belly but found the rice to be less than fluffy the day I tasted. 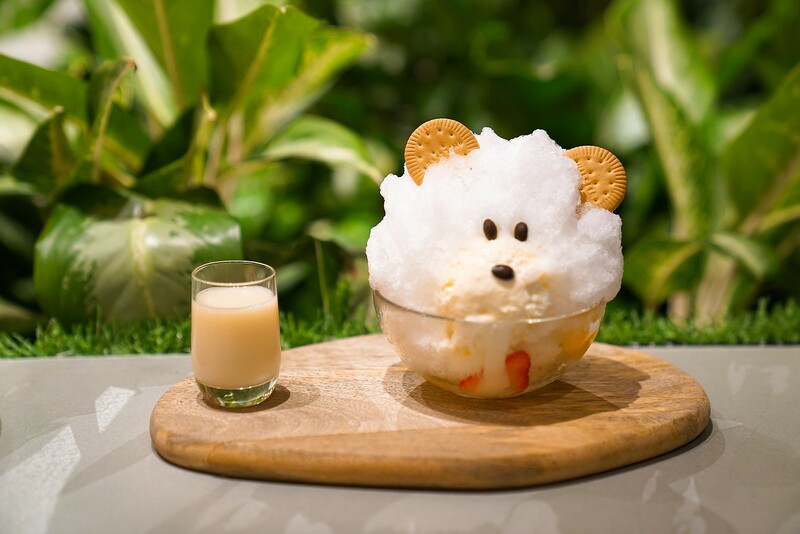 For those who are looking for something “gramable”, the Shaved Ice Shiro Kuma ($9.80) will not disappoint — shaped like a bear, it is just “Kawaii”! There is a side of condensed milk made with BIEI Jersey Milk that you can drizzle all over before tucking in. Look out of that delicious soft-serve ice-cream and the plethora of fruits beneath the ice. The Chestnut & Mont Blanc ($8.80) is a little more sophisticated offering with layers and layers of deliciousness. 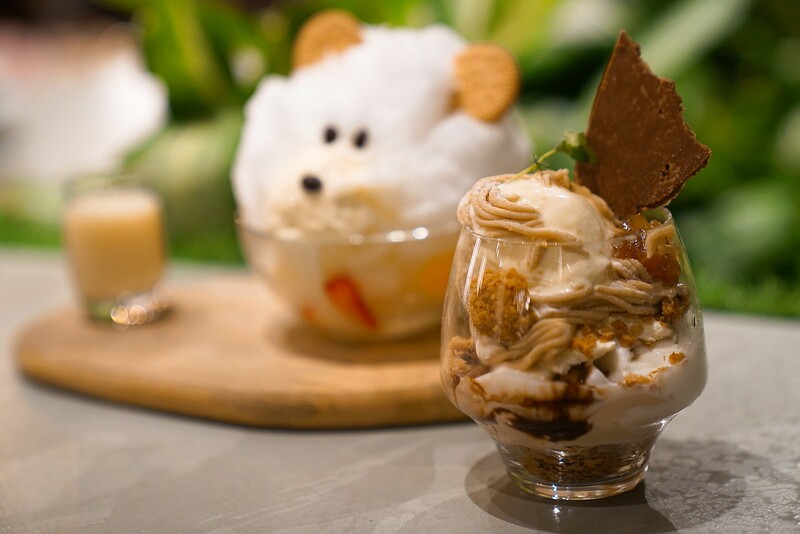 There is a houji tea pudding, vanilla ice-cream, chestnut cream and mont blanc cream. If that’s not all, there is also kuromitsu syrup-drenched chestnut bits layered with crispy feuillantine, crunchy buttery cookies and more. The final result is a beautiful mash of textures and complementary flavours that are smooth, crunchy, nutty, rich and chocolatey. 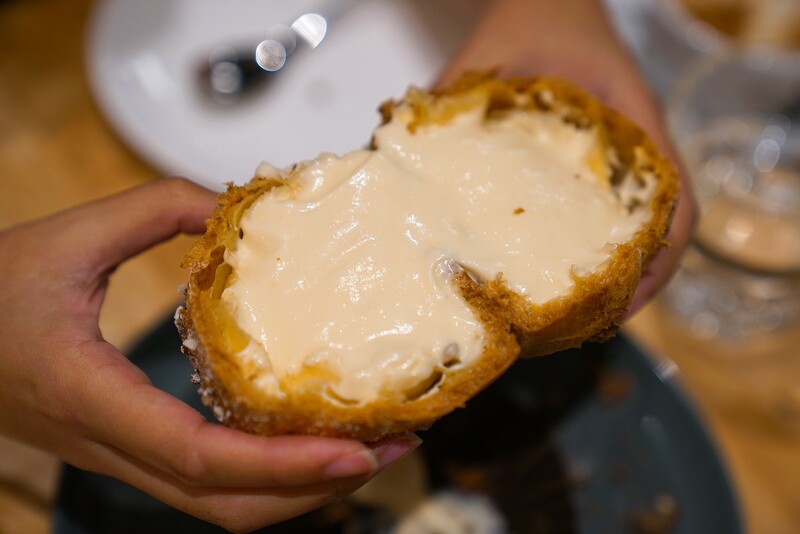 Finally, I tried the simple cream puff ($4.50 for one, $12 for three). I had my eye set on this one, and I was delighted that it delivered. 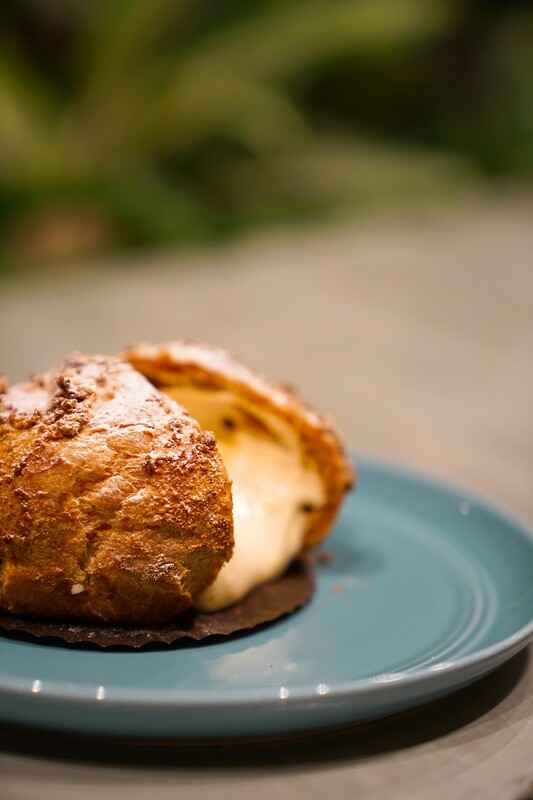 The puff is light yet crisp, and the inside is fully loaded with a yummy custard cream made of Hokkaido BIEI Jersey milk. Count me in for another one!